Nine years ago today I was arriving in this country to start a new life. If ten years ago someone had told me that today I would be doing what I'm doing, I would have laughed at his or her face. Life is full of surprises. Last night I thought I would open something special to celebrate this anniversary (the moving started on the 19th, when I took the plane from Buenos Aires) and in my cellar I found Coton an Old Ale brewed by The Bruery. It's really nice to taste a beer about which you don't have any references, not even about its maker. I had received it from my friend Brian, a fellow beer enthusiast from the US, so I was expecting it to be at least good. The label says that this 14.5% ABV brew is a blend of 75% Ale and 25% Ale aged in Bourbon barrels and Coton must be one of the most complex and interesting beers I've ever drunk. It pours clean ocher, the nose has notes that reminded me of walnuts, dates, raisins and sherry. The mouth feel is sticky but not too thick. The beer itself changes almost with every sip, without ever loosing its perfect balance. There's Amontillado mixed with a dash of dry red wine. Fresh tropical fruit with raisins and dried figs. Wood and tobacco. And behind all this there is a wild, dark element, lurking in the shadows, but that it is fortunately, kept in line. None of the allegories of last year, just a wonderful beer this time. And since I'm on the topic of anniversaries. In three months, minus three days, I will reach the grand age of 40 years old. My parents were 40 when I was 13 and back then I thought they were already ancient. Now there are days when I feel ancient, but I reckon this has less to do with age than it has to do with other factors. But back to topic, what beer/s should I drink to celebrate an event of such magnitude? And, for those who are older than me, what beer/s did you drink on your 40th, or similar, birthday? PS: If any of you out there has for moment thought that the above paragraph isn't but a sad and pathetic way to ask for presents, well, let me tell you this, that's exactly what it is, a sad and pathetic way to ask for presents. Ha! Who's feeling awkward now? 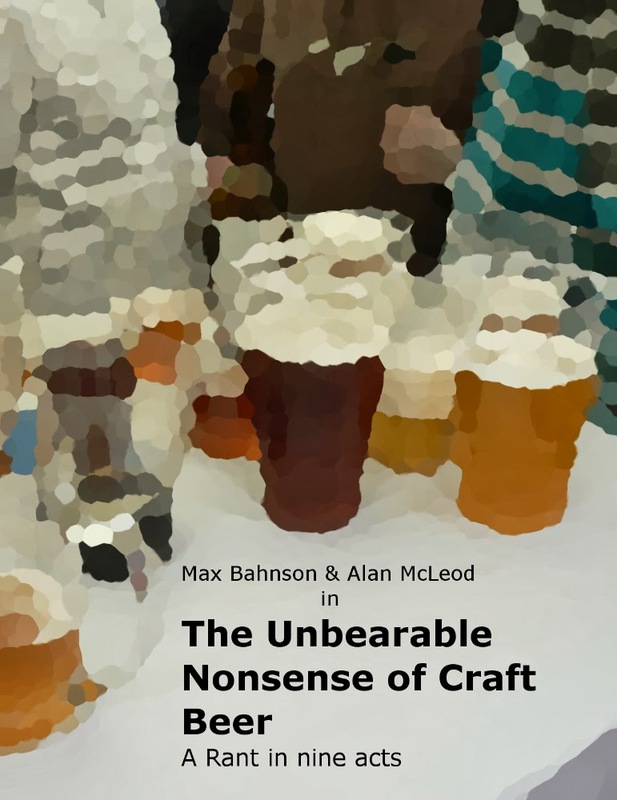 So, answer the call and write me an e-mail to get my address, etc, otherwise, if you can't be arsed with posting a bottle, buy my book then, this way, you'll be making yourself a present and I can use the money to buy myself some nice beer. (note: all beers sent as birthday presents will be polished during the celebrations). Those 9 years weren't wasted. 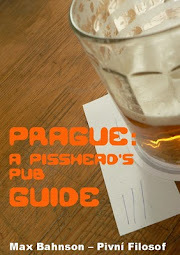 They resulted in a great guide on drinking in Prague. I'm looking forward to give good use to it soon! My 40 th was at the New Barrack Tavern. Since it was taken over by Castle Rock, never go. What I can tell you, enjoy your 40 th !. Years seem to Fly afterwards. This year will be going to the Lescar for a meal. Drinking Sharpe,s Atlantic ipa. If not may be Drinking Your Favourite Staropramen !. Well Done, Here,s to the Next 9 Year,s !.